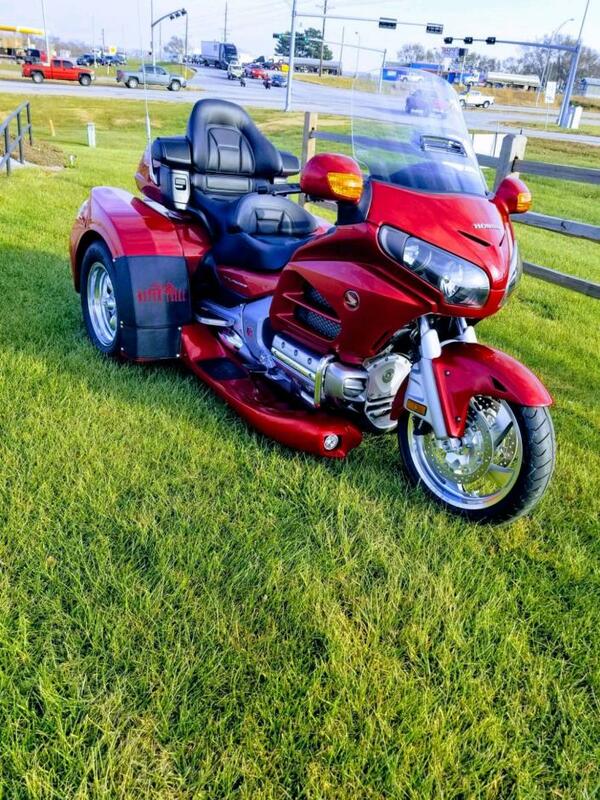 This Honda GL1800 with the Motor Trike Razor conversion is like new with only 18,500 miles. It is extremely clean and ready to take you on your next adventure. 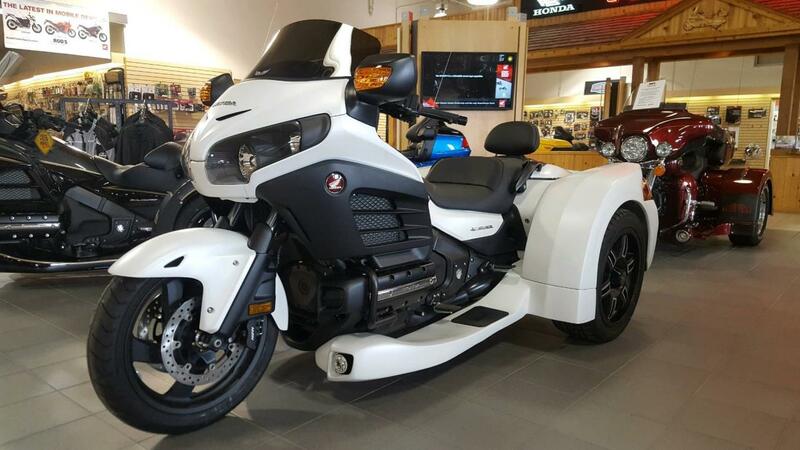 Stop in at Rod's Power Sports to check this one out. *****No City Sales Tax*****We are proud to be Nebraska's FIRST and ONLY Level 5 Honda Power House Dealer! Our service department keeps your bike in good hands with Factory Trained service technicians! 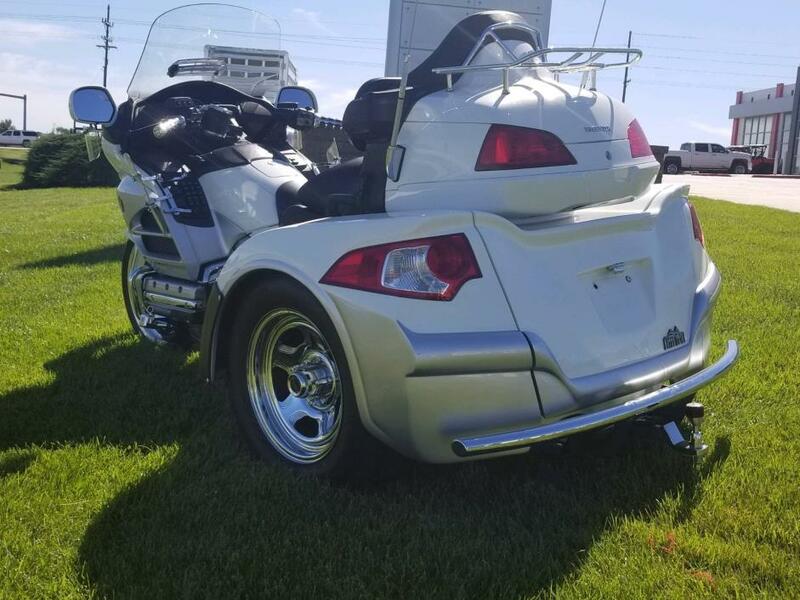 Completely loaded trike! Super clean the pictures don't do this trike justice. call for details or just stop in. 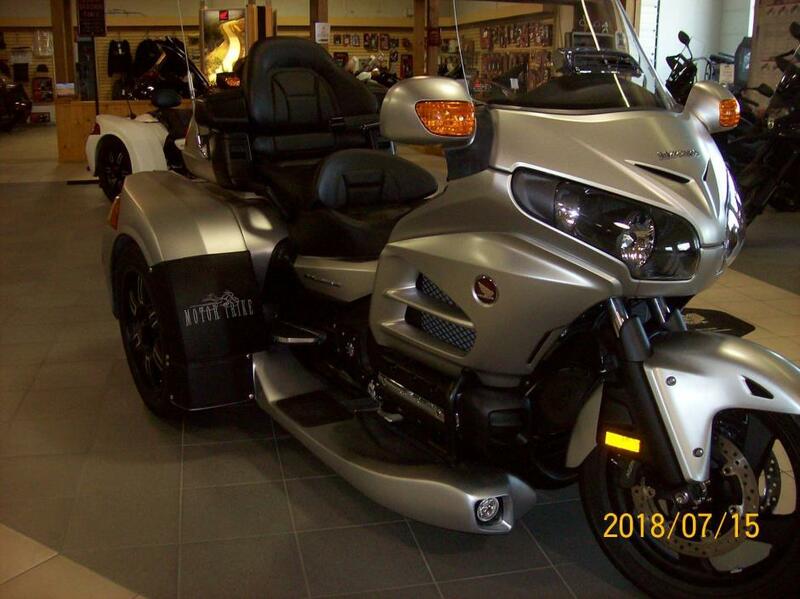 Brand New 2016 Honda GL1800 Goldwing - Base Model with Heated Seats, Heated Grips, Foot Warmers, Cruise Control, Electric Reverse.MotorTrike Razor Trike Conversion performed at our dealership includes: Razor Kit painted and installed, Aquashields (Running Boards) with L.E.D. Fog Lights, Aquashields Bras, Fender Bras (Embroidered) EZ-Steer kit (4 1/2 degree rake kit), Trunk Liner, Trunk Floor Mat, 17" Aluminum Satin Finish 6-Spoke Wheel and Tire Upgrade. 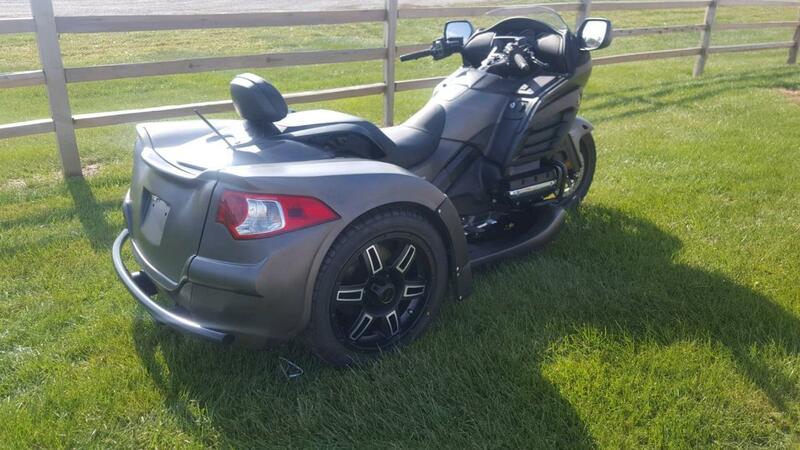 Hurry on this beautiful Honda/MotorTrike three wheel masterpiece!!! 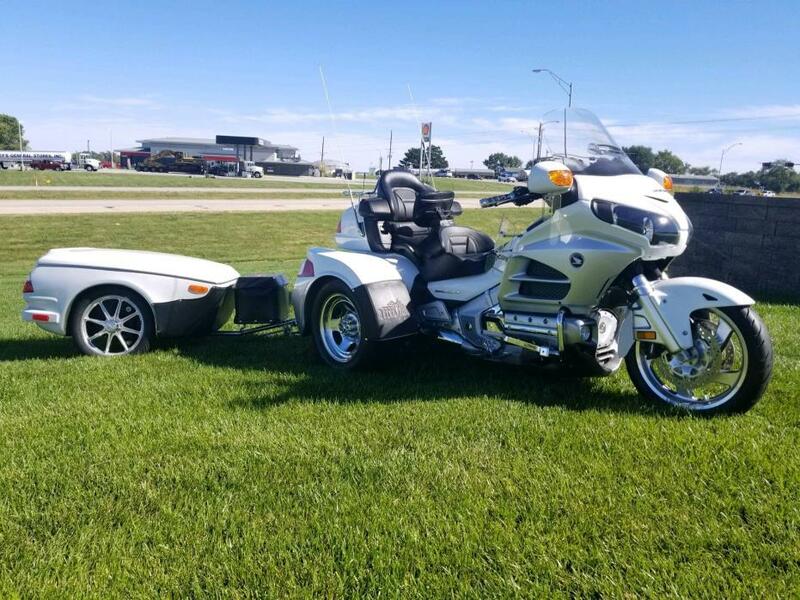 2017 GL1800 Gold Wing, Aquashields with Fog Lights, EZ-Steer Kit, Trunk Carpet Liner and Mat, Fender Bras. Ready to attack the road and build lots of great memories. 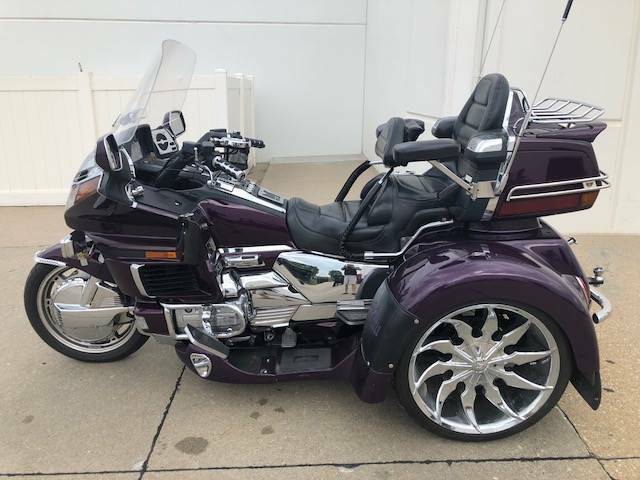 IRS Conversion for Honda GL 1800 MotorcycleMotor Trike offers an Independent Rear Suspension on many of their conversions. This makes for a great ride by allowing each wheel on the same axle to move independently of each other. This alone creates a smooth ride. However, Motor Trike did not stop there. First, they designed and patented an air ride suspension that offers over four inches of wheel travel. Then, they lowered the spring rate to create a more comfortable ride with plenty of 'give' when traveling over bumpy terrain, with an extra passenger, heavy cargo, or pulling a trailer. Because of the fingertip adjustable air ride suspension and softened spring rate, optimum ride quality is reached. Motor Trike also uses rubber bushings on all suspension components as well as on the differentials to reduce the noise, vibration, and harshness that can be bothersome to riders. Also the roll center height has been lowered ensuring both tires are kept in contact with the road at all times which helps to prevent rolling. And finally, Motor Trike uses a calibrated sway bar to ensure comfortable and secure cornering. With all of these preventative measures in place, the inconsistencies in the road are completely absorbed creating an effortless ride.